It is perhaps the most polarizing title of the year. Love, hate, and debate about audience have all bubbled up around Tom McNeal’s Far Far Away. A National Book Award finalist, the novel also has five starred reviews and has made four of the year’s best lists; clearly, there is a lot of love for this book. But whenever I discuss Far Far Away with someone who didn’t like it, they don’t just dislike the book, it’s more like disdain. I’m not one of those people but I’m not quite on the side of adoration either. McNeal’s most prominent theme is story—its power and our lives as stories are two variations that we see in the novel. 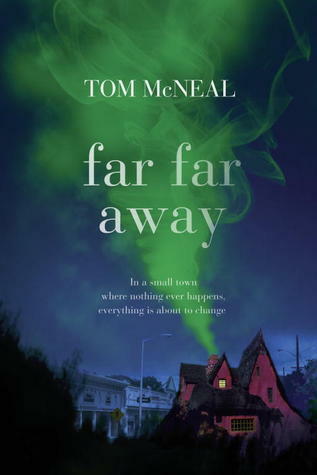 McNeal’s use of storytelling (specifically, fairy tales) as a major theme is done well enough, but when analyzed with other elements of the novel such as voice, style, and characters, Far Far Away is a book made up of discrete notes that, when played together, make a dissonant sound.